On Friday, the Supreme Court bench of the Chief Justice of India, (CJI) J.S.Khehar and Justice D.Y.Chandrachud, heard a peculiar problem faced by the Tripura High Court operating with just three Judges, although it has a sanctioned strength of four. The High Court chief justice, Tinliangthang Vaiphei, wrote to the CJI that he was unable to constitute a division bench to hear intra-court appeals against the orders of a single Judge bench, if for any reason, one of the other two Judges chooses to recuse from hearing an appeal. This has led to piling up of appeals, which Justice Vaiphei has suggested, could be resolved, by transferring them to another High court in the region, to ensure they are expeditiously heard. The Supreme Court decided to convert the letter written by the High Court chief justice to the CJI on the matter as a petition, and asked the Attorney General to assist it, by posting it for detailed hearing on Monday. While the Tripura High Court’s peculiar problem appears to have been caused by recusal of one of its three Judges, for the Supreme Court with a sanctioned strength of 31 and the current working strength of 23, recusals by any of its Judges have never been a problem. During the last week alone, from January 16 to 20, as many as six recusals have come to light in the Supreme Court. The CJI, Justice Khehar himself recused from three related cases: writ petitions [civil] Nos.547 of 2005, 18 of 2006 and civil appeal 4523 of 2005. Curiously, Justice Khehar heard a matter tagged with these cases, namely, Krishna Dutt Mishra v State of Uttar Pradesh, which was a civil appeal, listed on January 17 before him and Justice D.Y.Chandrachud. Chief Justice Khehar also recused from Chanakya Law University v Balaji Infraro (I) Ltd and Anr, which is an arbitration matter involving construction of a hostel for the University by a private party. This was listed on January 20 before the bench of the CJI and Justice D.Y.Chandrachud. Justice Dipak Misra recused from hearing a Transfer Petition [civil], namely, Salasar Fuel Industries and others etc. etc. v Union of India, etc. etc. This case was listed on January 16, before Justices Dipak Misra and R.Banumathi. Justice Abhay Manohar Sapre recused from hearing Rahul H Bajaj v. Satco Capital Markets Ltd. This was a Special Leave Petition listed before Justices J.Chelameswar and himself, on January 16. Justice D.Y.Chandrachud recused from hearing two Civil Appeals, namely, Government of Telengana v Rao V.B.J.Chelikani and Others etc. and Vinod Kumar Gupta v. Sushil Kumar Gupta and others. Both were listed on January 19 before the CJI and himself. Justice R.K.Agrawal recused from hearing the SLP filed by self-styled godman, Asharam against the denial of bail by the Rajasthan High Court. 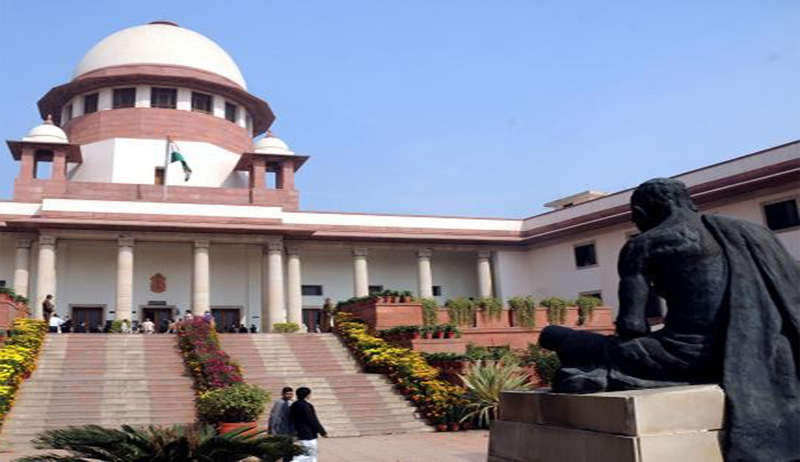 The matter was listed before Justices A.K.Sikri and himself on Friday. Curiously, Justice Agrawal had heard the same case earlier on January 11 and on three days in August 2016, when he sat with Justice Madan B.Lokur. Neither in Tripura High Court, nor in the Supreme Court, the litigants or the counsel would come to know why a particular Judge had to recuse from hearing a case. They can only speculate the reasons, namely, that one of the parties might be known to the Judge earlier, or that the Judge might have heard and decided another case of the same party earlier, etc. Disclosure of reasons for recusal of a Judge is, of course, a debate in itself, whose pros and cons would require a separate analysis.